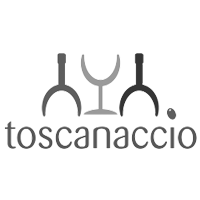 Toscanaccio is a Italian Wine Merchants extraordinaire with a well established and ever growing range of spirits (especially gin) stocked in their Parchment Street shop. Can’t see the spirit on the shelves? Ask the friendly, knowledgeable staff to order it in for you- With thousands of spirits available to order, your cocktail cabinet is limited only by your imagination! Join us for an evening with local gin heroes, Winchester Distillery, who kickstarted Hampshire’s flourishing gin scene back in 2014. Expect gin history, some gin science and of course a tasting of Winchester Distillery’s unrivalled range of gins! We’ll also be showing you a couple of cocktails you can whip up at home to impress your friends. Ticket Price £15 for non-wristband holders and £7.50 for wristband holders.